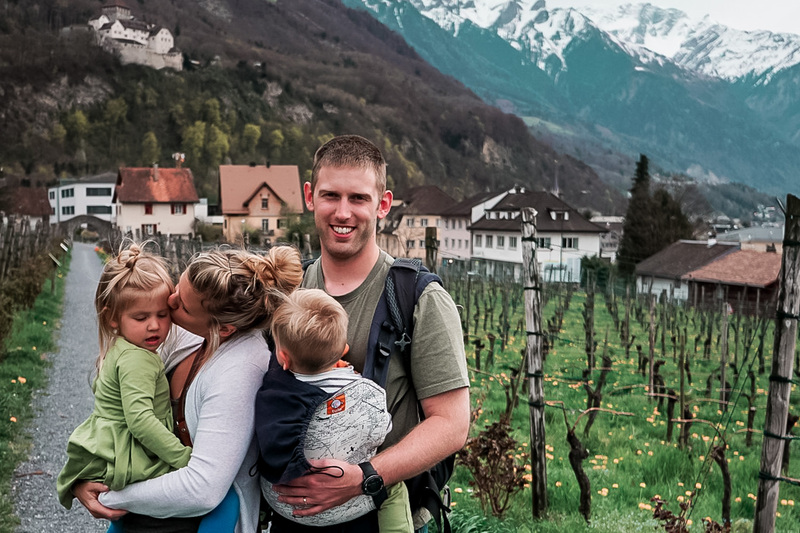 Meet this amazing bunch of family travelers who are changing the game and turning a conventional family life into one filled with adventures and experiences. So, we did this corny (and slowly becoming mainstream) millennial-crisis thing earlier this year and quit our jobs to live life on our terms. I know, right? Ha. How I used to laugh at those Instagram accounts with bios reading "Quit our jobs. Sold everything to travel the world." while sceptically sitting at my office desk eating a burrito silently wishing I was lying on a beach in Mexico being served said burrito by a hot Mexican pool boy. But, hey - it's 2018 and a lot of us have woken up from our monotonous daily routines (boring!) and realised that we don't want to partake in this perpetual rat race anymore. We realised that we live in a "freedom of choice" world, but we're unknowingly bounding ourselves to the shackles of climbing the career ladder. 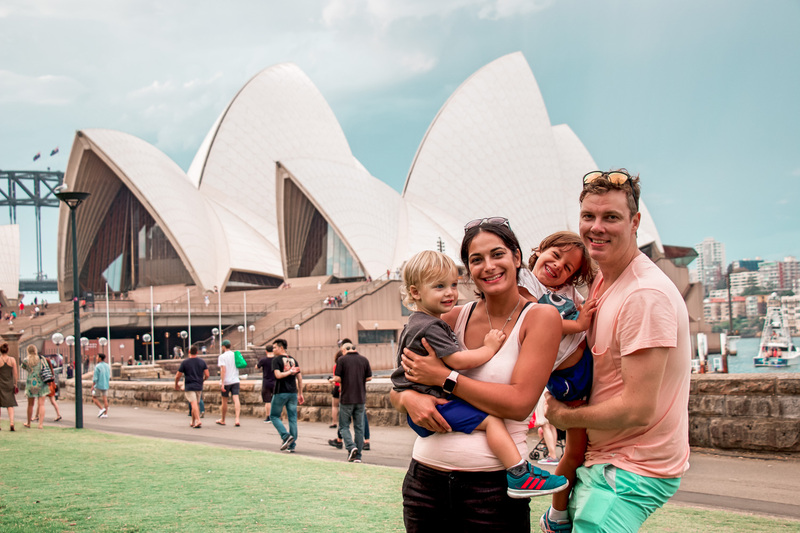 We spent over a quarter of the year travelling with our kids and came to realise travelling is really no harder than being at home with them, so we endeavoured to keep doing it. Not only did it open up their minds, but it opened ours and enabled us to grow together - creatively, mindfully and lovingly. We definitely weren't the only ones with this stream of thought. 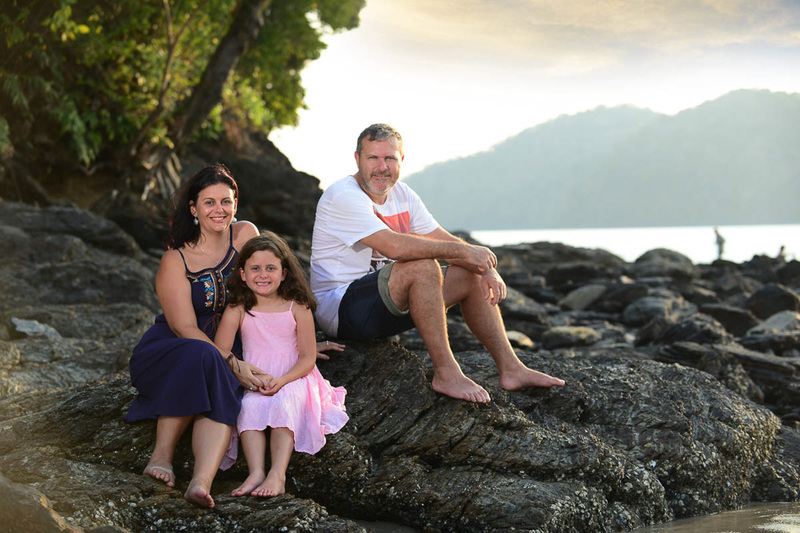 So, we asked 10 influential family travellers how travel has shaped their kids - this is what they had to say. 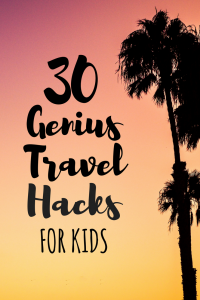 Looking for more family travel inspiration? Check out these posts. "During our travels our two-year-old learnt how to swim, say the alphabet, count and much more. Travel opened him up, brought on his speech and language abilities in leaps and bounds and give him a whole bunch of stories he loves to tell!" Meldrums on the Move is made up of Tasha, David, and their little adventurer - Travis. During pregnancy, Tasha was diagnosed with a chronic condition that left her in crutches - fearing that she never may never be able to travel again due to her immobility, she refused to let that stop her. She grew more determined than ever after Travis was born to turn life's hurdles around and travel more now than ever as a family unit. Tag along on this fam's adventures on Facebook and Instagram. Or, watch some of their inspiring travel videos on their YouTube channel. "Instead of sitting behind a desk for two years, Em was out climbing mountains, swimming with turtles and mantas, running barefoot through the grass, hanging out of train doors and meeting people from all over Asia. She became adept at problem solving and developing strategies to manage any challenges we faced, she embraces change and is up for any adventure. She has friends from all over the world, from different cultures and different economic and religious backgrounds. I'm so proud of her." The dynamic duo - Evie and Emmie - are the grinning faces behind Mumpack Travel. 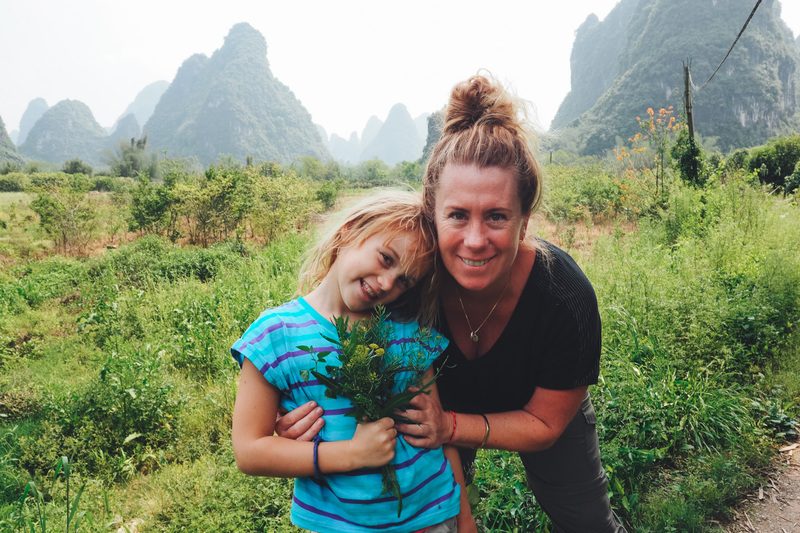 Foregoing the idea of installing a new kitchen and bathroom in her home, she used her reno savings to take her daughter on an adventure of a lifetime. After jetting off in February 2016, their adventures (and misadventures) have yet to come to an end. It's probably safe to say - they never will. Be a part of Evie and Em's travels on Instagram and Facebook - guaranteed laughs and travel inspiration. "Travel has taught our kids that home is not a physical place, but rather wherever we are all together. It’s dinners around a table and a cozy bed to sleep in at night. Knowing this, our kids can feel at home no matter where we are in the world." Meet Laura - full-time mum, part-time traveler. Having missed out on the young adult's rite of passage - traveling the world in her youth - she came to realise that their lives weren't meant to be lived out in one place. And, we couldn't agree more. After this epiphany, they embarked on a path that would provide them with more experiences and memories instead of material things. 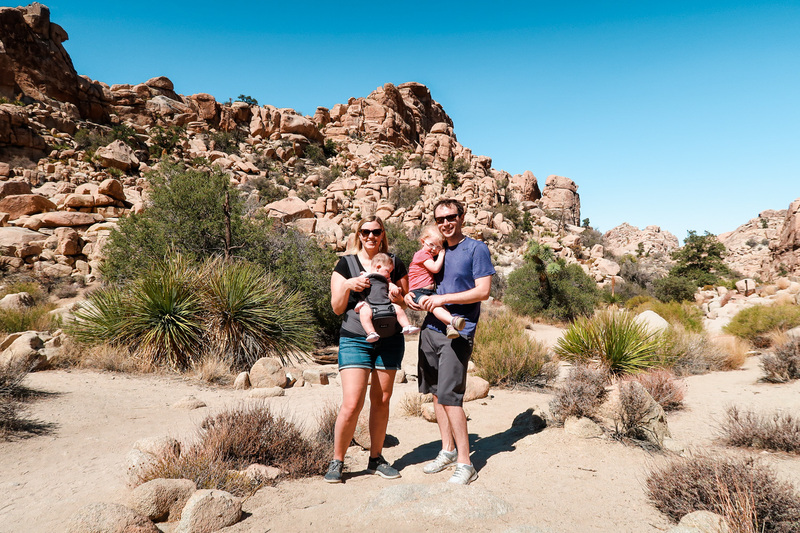 And so, their blog Our Next Adventure was born, aiming to inspire families to travel more by providing invaluable tips on how to make travelling with kids easier. Find out where their 'next adventure' is taking them on Instagram and Facebook. "Our travels have given our daughters so much confidence to try new things. They aren't afraid to meet new people and make friends so easily wherever we go. They also adapt to every new country so willingly; accepting the diversity of the culture - they are so curious, always asking us lots of questions. These skills are valuable in the multicultural world we live in. Also, one practical skill they have mastered during our travels is swimming - they are both so confident in the water now. I was amazed at how much they improved as a result of swimming every day." After years of attempts to settle into the conventional way of life - buying a home and the 9-5 office life hustle, Felicity and Marco slowly started resenting the promise of a secure lifestyle - where was the sense of adventure? Where was the freedom? 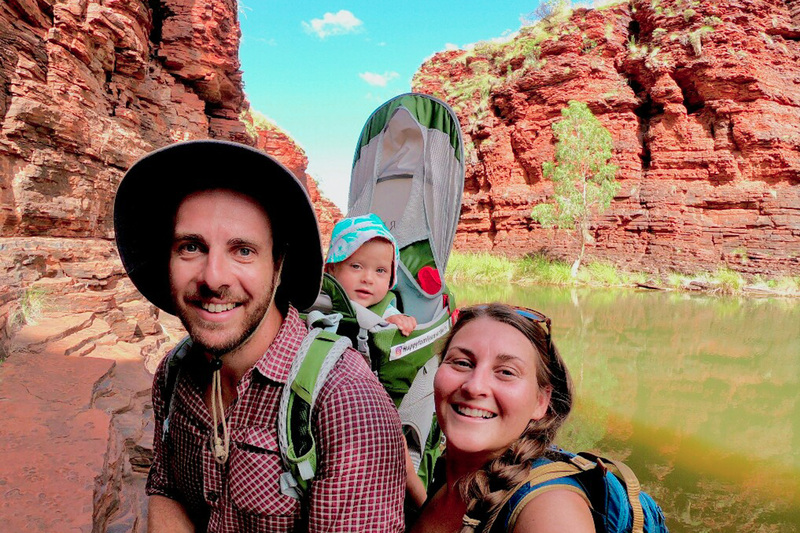 After a round-the-world trip in 2005 sparked their deep desire to see more of the world with their kids - they realised that there was no going back and embarked on a journey that gave birth to their blog and YouTube channel, Thinking Nomads. Watch some of their captivating travel vlogs on their YouTube channel, or find them on their current adventure on Instagram and Facebook. "Travel has been part of our twins lives since their first trip at six weeks old. Seeing the world through their eyes is an incredible experience for us as parents. They notice little details, subtle differences and the fact that a friendly smile to a stranger brings joy (and sometimes lollipops) in return. Even when you think they are not taking it in, they will surprise you a few weeks later with an observation or thought about their experiences. For them, the world is full of wonder and we hope it stays that way forever." A fellow Melbournian (represent! ), Katy is the brainchild behind the popular travel blog Untold Morsels, where she focuses on her passions 'food, wine, history, and art and design'. 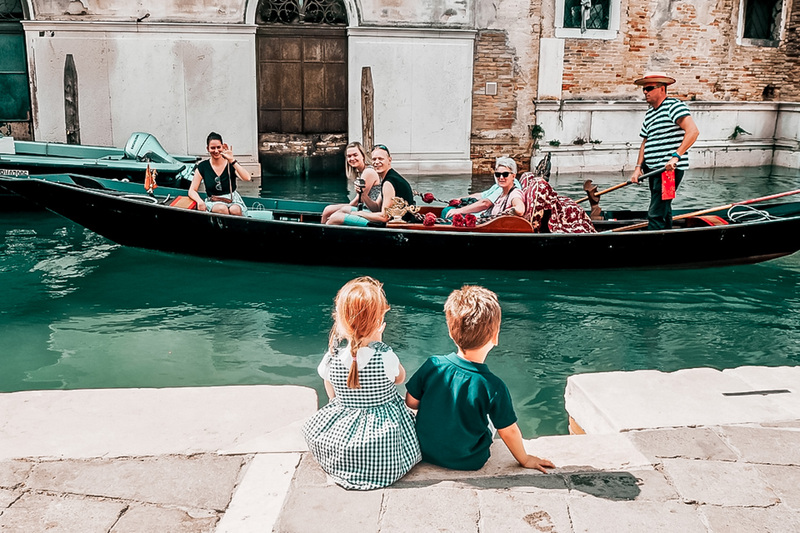 An expert on family travel in Europe (having frolicked there for 3.5 years), Katy is accompanied by her husband and twin pre-schoolers, setting out to prove that it's entirely possible to hold onto your passions, even after kids. Connect with Katy and her fam on Instagram or Facebook to follow their latest adventures. "Our daughter has travelled full-time with us since she was 6 months old. We have loved watching her grow and develop as she explores the world. She has grown into a curious, independent, adventurous toddler who is always open to try new things. She looks at the world with amazement and approaches new situations with confidence. We also love how travel has shown her to treat all beings with kindness. She always smiles and waves at new people bringing light to their day!" Lovers of everything outdoors, Happy Family Adventures is made up of Remi, Lauren, and their daughter Gabrielle. Coming from Canadian, Australian, French and Bajan backgrounds - it's only natural that they set off on a path of travel to discover their roots and explore new places. Before Gabrielle turned 1, she had already traipsed through 5 continents, and I'm certain they have plans to conquer all 7. Chase after this international traveling family on Instagram and be sure to watch their amazing adventures on YouTube. "Our full-time family adventures have had profound positive impacts on both of our kids. Our six-year-old son Santi has become far more flexible since we began traveling. Before we left, he was used to rigidly following a schedule. Now that we're on the road, we are experiencing new things every day and he is thriving! Our two-year-old daughter Nora has also blossomed throughout our trip. She used to be shy and afraid to approach people. But now that we are meeting new people every day, she has gained the courage to say hello to new friends wherever we go!" The Jetsetting Family live by 4 values - family, freedom, learning, and sharing. What better way to adapt to a life of these values than through travel? Coming to the stark realisation that the great 'American Dream' was not their dream, they decided to rid themselves of almost all their material possessions, quit their jobs, and caught the next flight out. Zoooom. They haven't looked back since and judging by their awe-inspiring travel videos and jealousy-invoking Instagram photos - they ain't returning to their old life any time soon. If ever. Check into their next travel destination with them on Instagram and Facebook, or watch their inspiring travel videos on YouTube. "Travel has provided my daughter not only fabulous holidays, but lifelong learning experiences as well. What better way is there to learn about history, then visiting the historical sites and monuments were events actually took place; where pioneers once stood and changed the world we live in today. My daughter retains this information so much better than what she learns in a classroom with textbooks. I also love the opportunity travel gives her in making new friends across the world. She has been able to connect with people of all ages, from all backgrounds, religion and race and without any regard to language barriers. What better way to learn that regardless of where we live, the colour of our skin or where our god comes from, at the end of the day we are all the same." 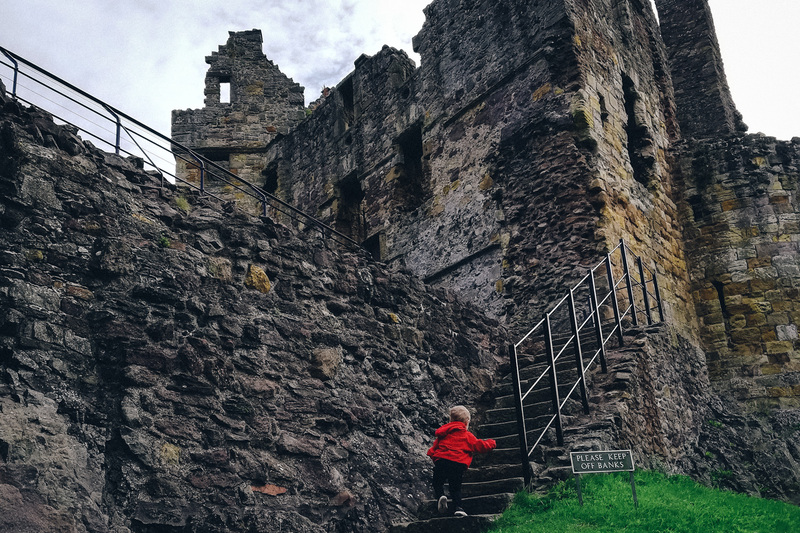 Showcasing the best family attractions in all places they visit, Thrifty Family Travels is all about showing parents that travelling with kids doesn't have to be all about Disneyland and resort-life. 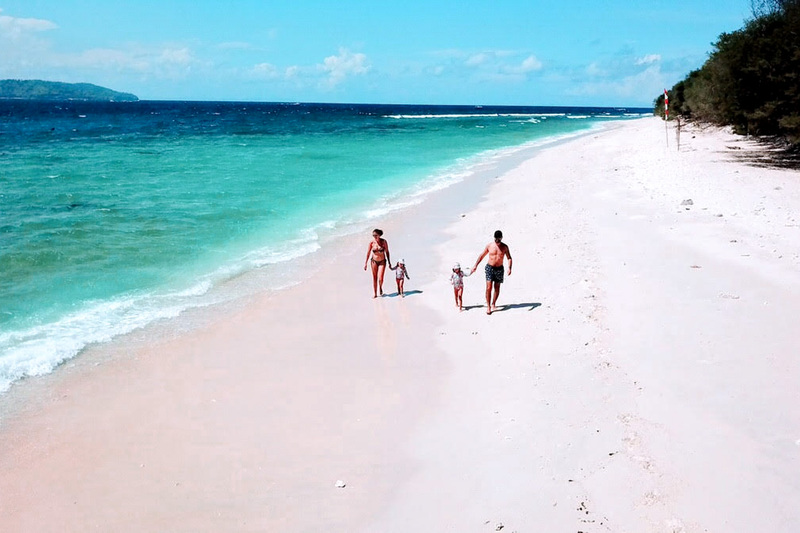 Experts on finding the best travel deals and budgeting on holidays, this fam is your go-to for valuable information and practical itineraries. Always accessible and willing to help, you can find Thrifty Family Travels on Instagram or Facebook and join in on their adventures. 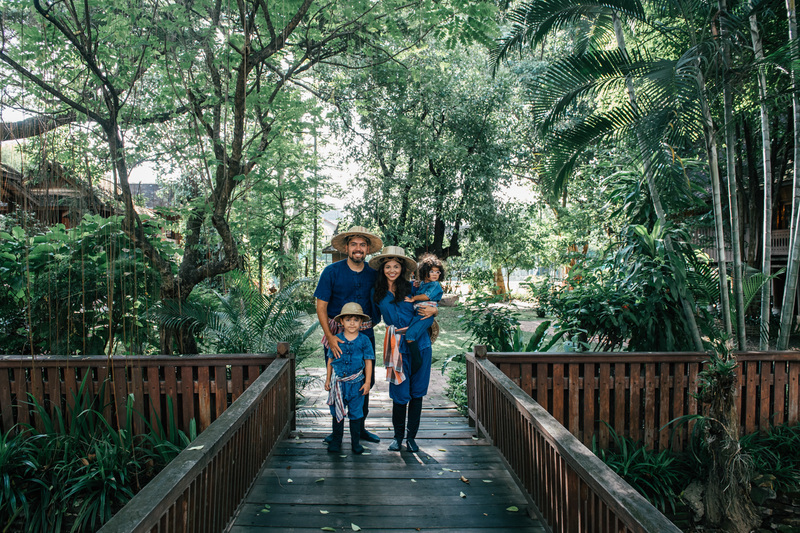 "Travel has changed our family for the better. Our children are continually learning about new cultures, experiencing new languages and food, playing with kids from other countries and constantly exploring new places. From camping in Alabama to Easter Markets in Budapest to biking the tulip fields in Holland, these experiences are an education in themselves. We believe only good can come from exposing young children to new experiences. On top of the education, our family unit grows stronger with each new place. We are physically together and more in tune with each other when we are traveling around. Travel helps us break free from our iPhones and computers and allows us to be more present with each other. There is no worldly possession we could give our kids that is greater than these experiences and time together." Wanderlust was a seed that was planted in Tavia's young adult life when she served as an officer in the United States Air Force, providing her with the opportunity to travel and meet incredible people. After discovering that her daughter suffered from medical issues when she was born, Tavia left her career to stay at home full-time to care for her. 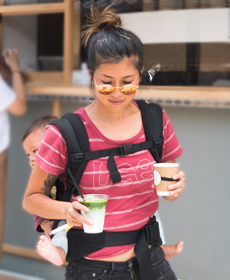 But, the itch to travel and see the world never left her, and so she and her husband seized every travel opportunity that was presented to them and have since roamed 14 countries and 25 US states with kids in tow, documenting all her adventures on her family travel blog Big Brave Nomad. Follow this bunch of brave nomads on Instagram or Facebook and get inspired by their incurable condition - the travel bug. "It blows our mind how much our son Javi recalls from our travelling adventures. We can already see at such a young age he knows there’s a bigger world out there and that he has an awareness for different cultures. Travelling and exploring new places has definitely sparked his curiosity." Meet Elisa, David, Javier, Joaquin, and... another little adventurer on the way - together, who make up The World N Us. Having kids never slowed them down, in fact, it accelerated their desire to travel more. It all started with a few small local Australian getaways and over time, grew into an unquenchable thirst to see and experience more. They document all the highs and lows of travelling with tiny humans in tow on their lively travel channel. Catch them on their local and Australian and overseas adventures on Facebook or Instagram. Thanks for featuring us in this article Tina and the video. We hope more families find inspiration in this post and it encourages them to travel with their kids. Really inspirational post. I love to travel with my family. It gives so much refreshment & happiness. My baby love it too. Thanks a lot for sharing your valuable thoughts. 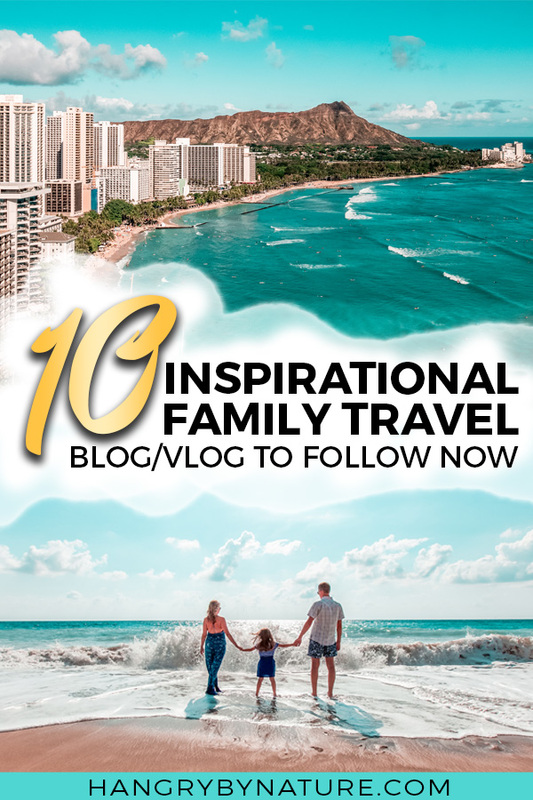 Awesome family travel blogs to follow, very inspiring! I know most, but there are a few I didn’t know yet. Love this post Tina!